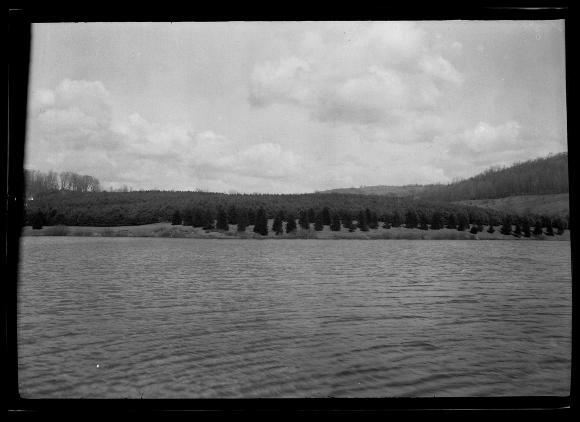 View of a pine tree plantation growing along the shores of the Norwich watershed in Chenango County, N.Y. This image was created to record the reforestation efforts of the New York State Conservation Department. Source: New York State Archives, New York (State). Conservation Dept. Photographic prints and negatives, [ca. 1904-1949], 14297-87_3092.